Hillary was the medias appointed one. They reason they gave Trump so much coverage was they thought he was un-electable. They knew Hillary was an awful candidate, but they thought Trump was so bad that with those as the only "legitimate" options, the people would have no choice but to elect Hillary. It backfired spectacularly, but it does not appear that anybody has learned from this mistake. Everyone is continuing to use the same tactics. 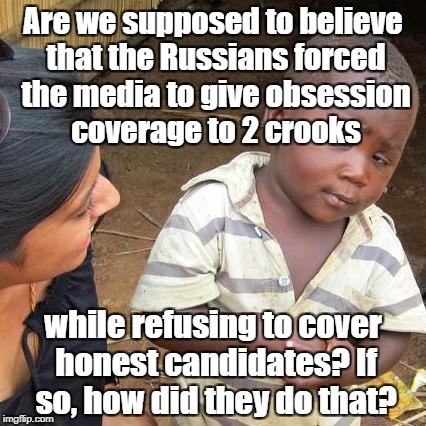 Are we supposed to believe that the Russians forced the media to give obsession coverage to 2 crooks; while refusing to cover honest candidates? 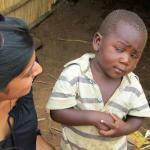 If so, how did they do that?